Dance Central 2 – THE DANCE OFF! Jump into the region’s 1st national dance competition powered by the amazing Kinect for Xbox 360. 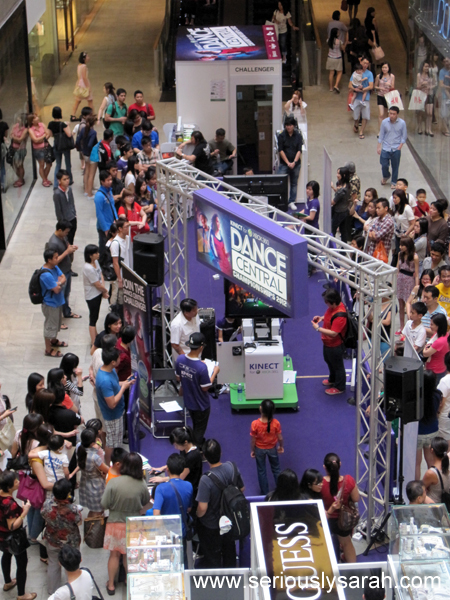 Compete in Solo, Doubles or Junior categories and head into the Ultimate Dance-Off! Over $15,000 worth of cash and prizes to be won! 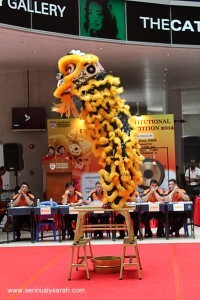 Qualify from 13 Feb 2012 and witness the finale at Plaza Singapura from 6-8 Apr 2012! Right now you can still check out the official page of it here to register or check out the info of where it’ll be. 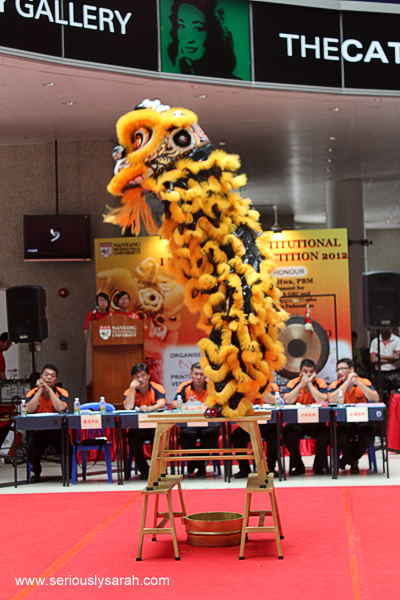 The competition is fun! They’re actually going around the different malls and schools like some traveling Pokemon gym but with no Pokemon and a lot more dancing! 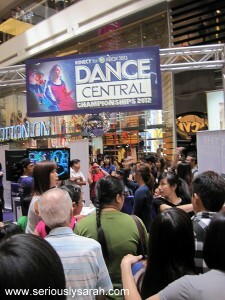 5 April 2012 is the last day to qualify before they do their semi final, finals and then the ultimate dance off. So Joelyn and I registered for it. In the solo category for above 13, the choices to dance on easy mode are Real Love, Impacto and Last Night. I chose Last Night while Jo chose Impacto. She got the gold stars! Right now I’m just waiting for the official website to update itself since before every next round, they’ll post up the top three scorers for each category! In any case, join for the fun of it. It’s a fun game and if you’ve a group of friends, it’ll look like a Bollywood movie or something if they dance in the background to support you. On a slightly related note, before we headed to 313 for our Dance Central qualifications, we passed by Cathay and saw the 8th NTU Institutional Lion Dance competition! The students in this group look like juniors of a secondary school or from a primary school. I couldn’t see since it wasn’t on their uniform. 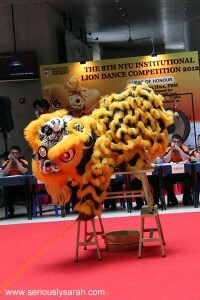 Have a short clip of the lion dance since we didn’t record much dancing during the DC2 competition! Oh and why were we coming from the Cathay side towards 313 instead? We were jamming. Make sure your volume is low, we kinda peaked since this isn’t an official proper recording with microphones positioned correctly and all. All ukuleles there, including the U-bass. If you checked my channel, you’d find our other songs. Previous Previous post: Titanic exhibit at the Arts Science Museum!